Similarly to Windows 8.x modern apps, Internet Explorer 11 can’t connect to a site running on localhost by default. 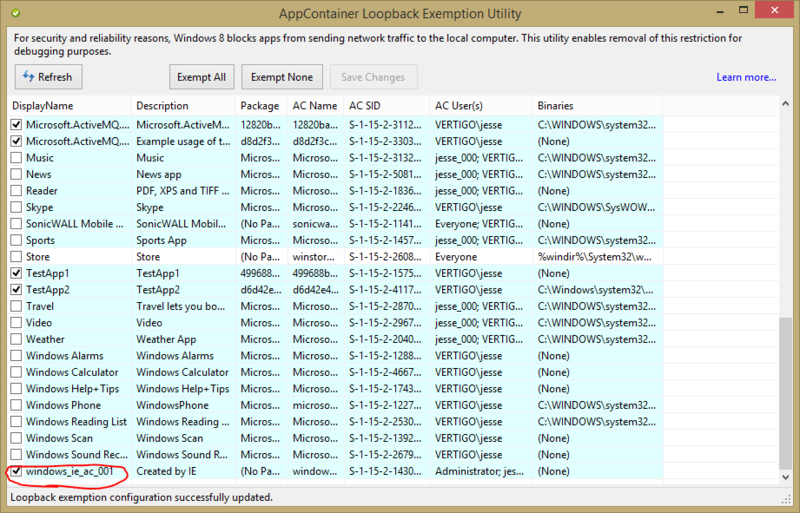 To correct this “feature”, you can use the EnableLoopback Utility. Check the entry windows_ie_ac_001 and save changes. Now just refresh the page in IE and you’re all set. No Replies to "IE 11 can't connect to localhost?"